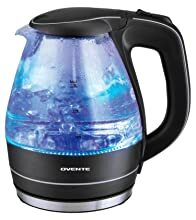 Enjoy boiling hot water anytime of the day using your Ovente electric kettle. 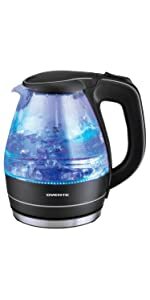 The kettle will light up as it begins to boil the water, the light will automatically shut off after boiling. 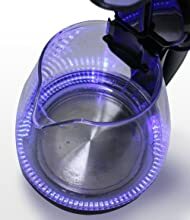 Comes with automatic shut-off and boil dry protection function that turns the kettle off once it reach the boiling temperature and if there’s no water detected in the glass carafe. 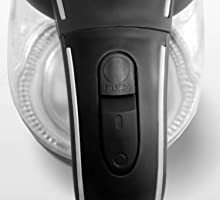 Easy to clean filter that eliminates limescale deposits. Clean with damp cloth. Heating element was concealed for a longer lasting kettle as limescale deposits will be easier to see. 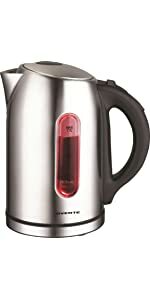 Why is Hot Water so important? There is nothing like a hot cup of coffee or tea in the morning. 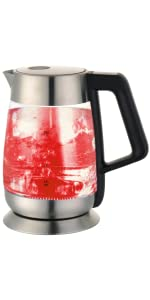 Not only hot water is convenient to use especially for making coffee, tea, instant noodles, baby bottles, etc. 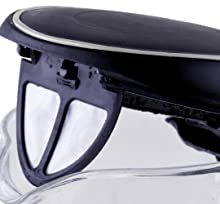 Drinking boiled water has a lot of health benefits such as improving digestion and removing toxins from the body, removes impurities or harsh chemicals from the water making it safe to drink, maintains a healthy metabolism especially if taken in the morning with lemon – overall drinking hot water is so important for one’s health and wellness. 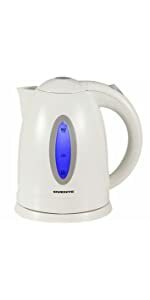 As Ovente strives for perfection, we have developed the Ovente KG6 and KS8 temperature control kettles that have variable temperature settings to get the maximum results out of your hot water.